Serve water with style – Serve ice-cold water with mint leaves, slices of lemon or fresh berries to give the water a twist. 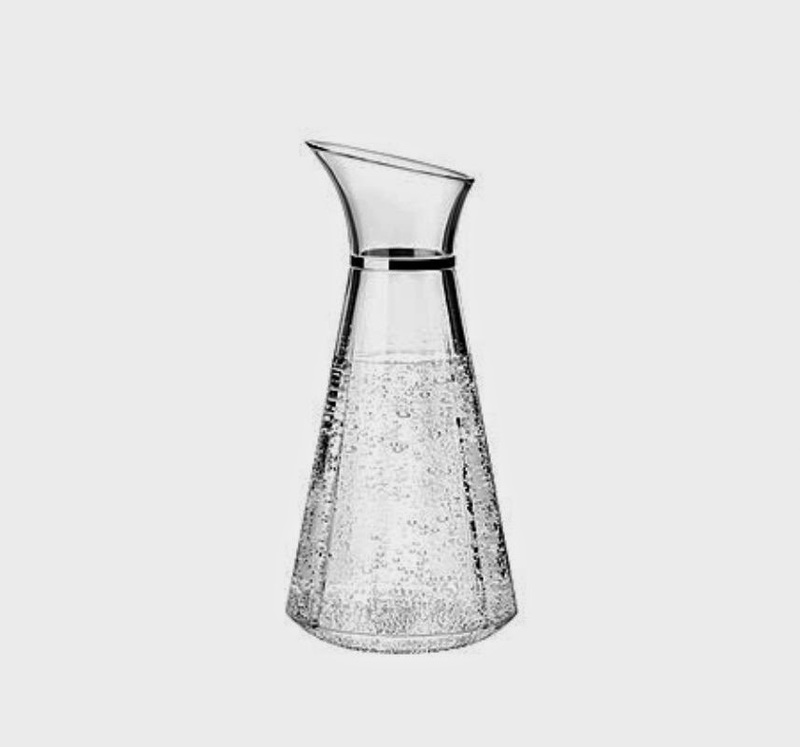 This carafe is both capacious and easy to clean. Its organic shape and simple steel collar makes it easy to team with other table and glassware. The carafe is marked by Grand Cru series characteristic grooves cut across all elements of this series, which allows you to create a good balance across the table setting. The aesthetic and functional design is crafted in lead-free glass, and can be beautifully combined with Grand Cru Soft-drink glasses (sold separately) that have the same elegant style. Dishwasher safe up to 55 ° C.